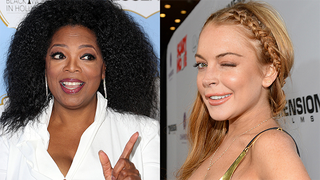 Good news for actress, model and recording artist* Lindsay Lohan: she's getting two million dollars to star in an 8-part docuseries in which Oprah will life coach her. The deal sends a good message to kids: wrecking and making a public joke out of your life pays. *Source: Wikipedia.